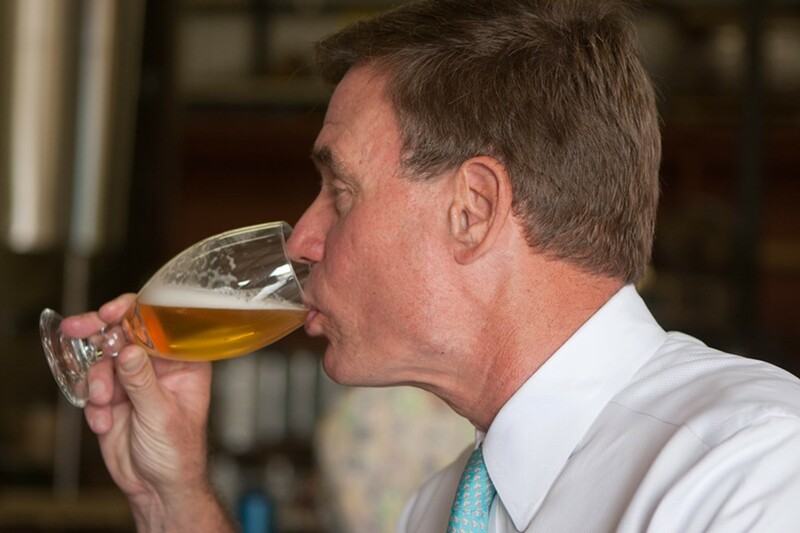 Mark Warner Drinks Beer in Richmond at 10:30 a.m. | Street Talk | Style Weekly - Richmond, VA local news, arts, and events. Mark Warner Drinks Beer in Richmond at 10:30 a.m.
U.S. Sen. Mark Warner samples Hardywood's Singel during a tour of the brewery Wednesday morning. 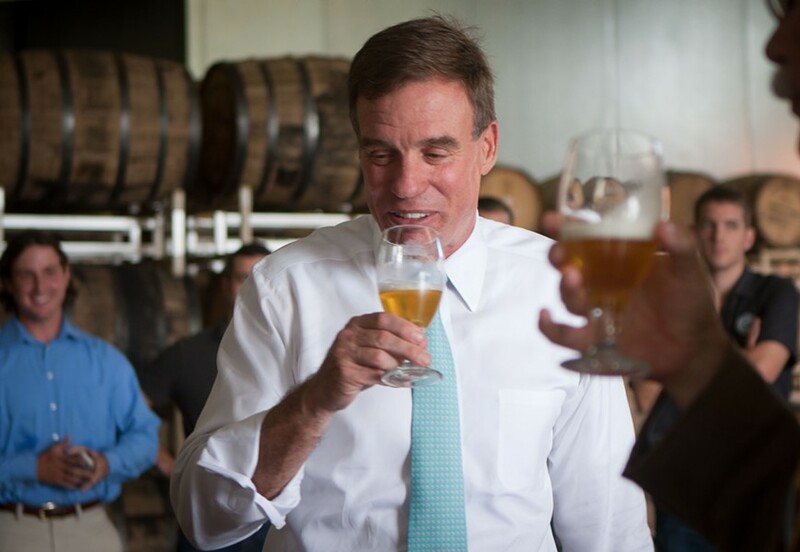 It was a bit less glamorous than it sounds, but U.S. Sen. Mark Warner had at least two beers today during a 10 a.m. visit to Hardywood Park Craft Brewery. As part of a state-wide tour, Warner stopped at Hardywood to taste and talk business with brewers from across Virginia, including local heavyweights Legend, Center of the Universe and Strangeways. Warner announced his decision to sign on as a co-sponsor for a bill that would lower the federal excise tax on small brewers. He also talked about how the Affordable Care Act would impact small breweries and delivered a U.S. flag that had flown over the Capitol to Hardywood's owners, Eric McKay and Patrick Murtaugh. Style: What beer did you taste today? Warner: I had the Singel. What did you think? Do you have any tasting notes? I thought it was good. I could really taste the fruit on the front end of it. But I’m really more of a wine guy. I think these craft breweries -- I could get into them. Do you think you'll start brewing yourself? You already have a vineyard, though you mentioned things aren't necessarily going well. Yeah, I've got some vine rot and we've taken out most of it. When did you taste your first sip of beer? [Laughs.] You know, a day after my 21st birthday. How about that to make sure everybody knows I'm totally lying. What's your favorite bar in Richmond? I go to Acacia a lot, but that’s more of a restaurant than a bar. I guess Millie’s. The interview was cut short before we could get his stance on pumpkin beer because an AP reporter -- who, by the way, was also drinking -- wasted a lot of time asking about employment programs for veterans.